This beautiful hidden corner branch with falling leaves will add elegance to any room you choose to put it in! Branch comes in 4 sections for easier application. 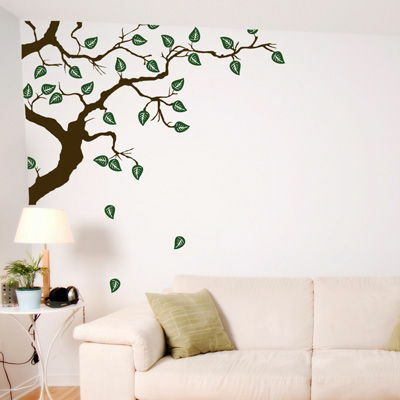 Leaves come separately so you can place them wherever you choose! Practice decals are included with every order. Beautiful decal. Much easier to apply than other decals I've purchased (not from you), thanks for the clear directions!